12 Days of Free Home Cooked Food Christmas Giveaway! 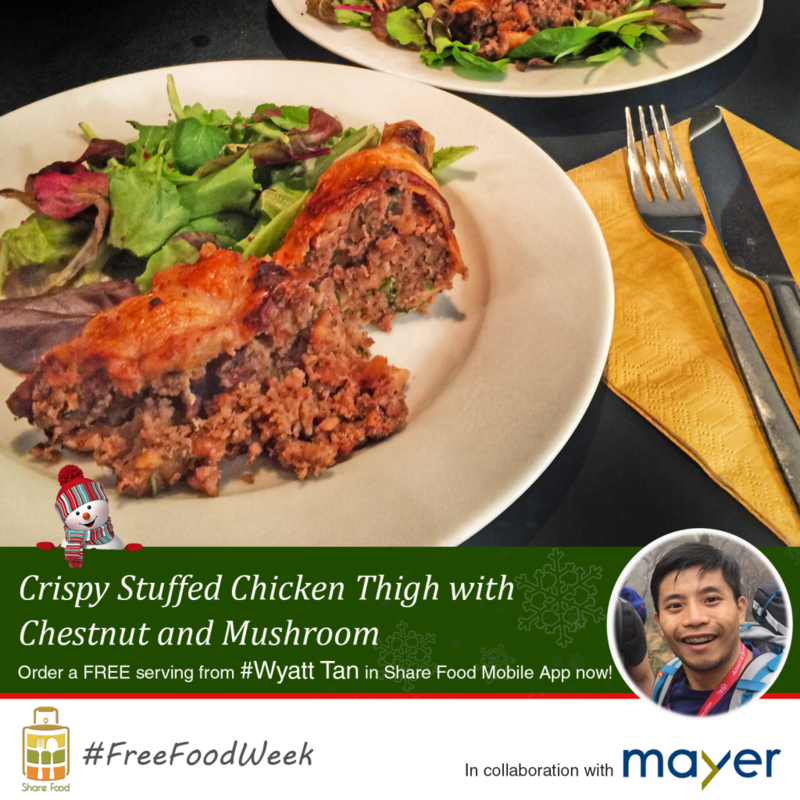 'Tis the season to be sharing and we're partnering Mayer to do just that! 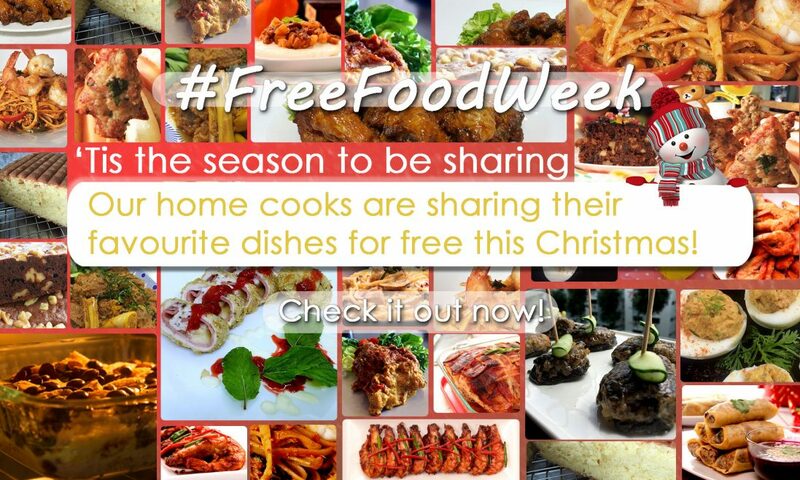 Over the next 12 days from 13 to 24th December, be sure to check out our #FreeFoodWeek category page to see who's cooking and sharing delicious home cooked food for free! 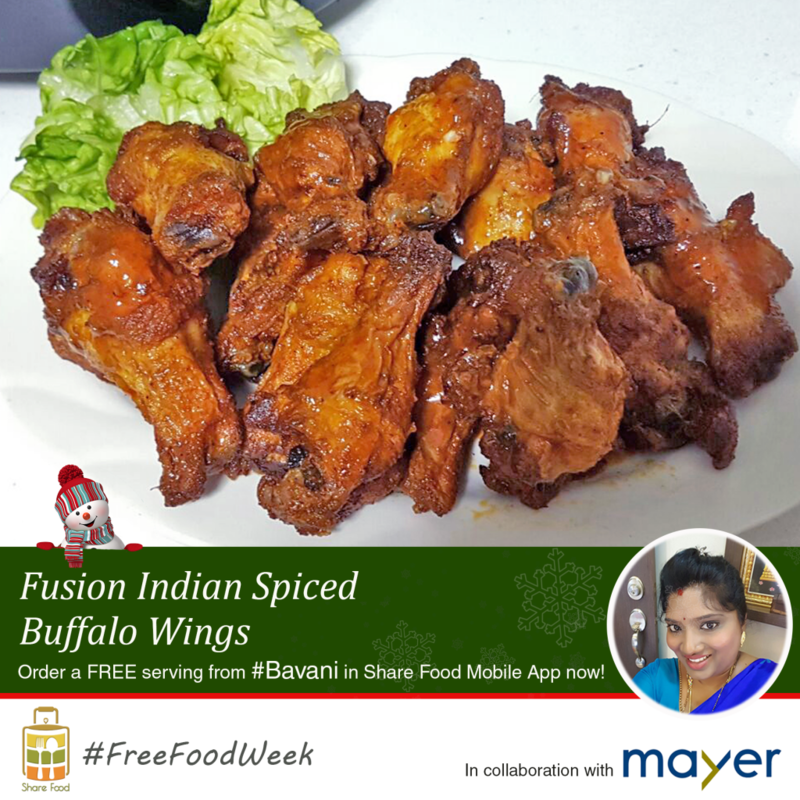 We're talking spicy buffalo wings by home cook Bavani or crispy chicken thighs stuffed with chestnuts and mushrooms shared by Wyatt Tan! Mouthwatering home cooked creations just waiting for you to order! Follow these simple steps to start ordering free home cooked food from our Share Food Ambassadors from 13 - 24 December 2016! 2. 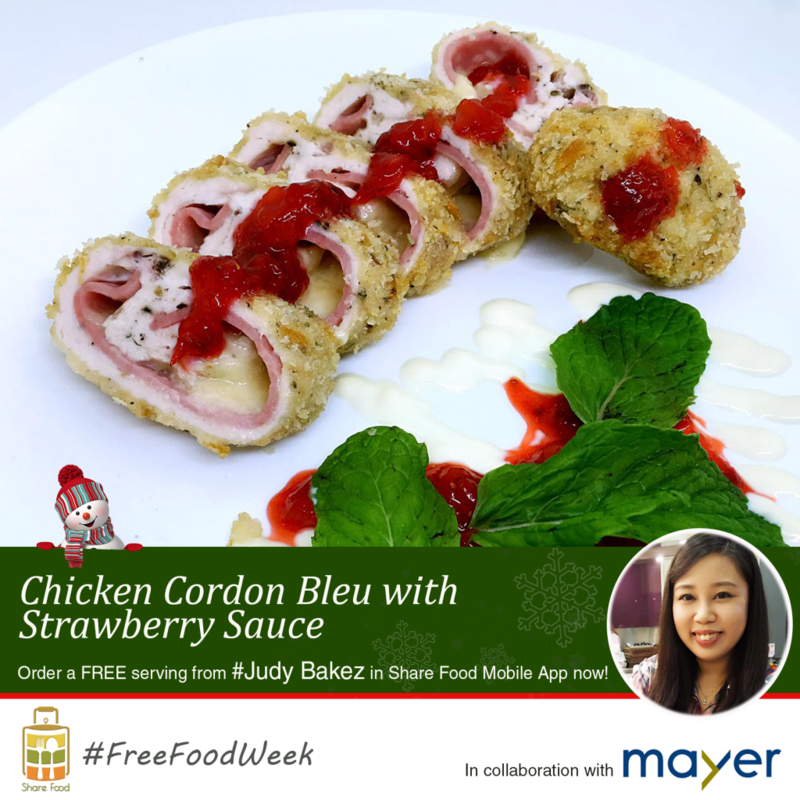 See what's cooking in the #FREEFOODWEEK categories page. 3. Chat with the home cook to arrange a convenient pick up location, date and time. 4. 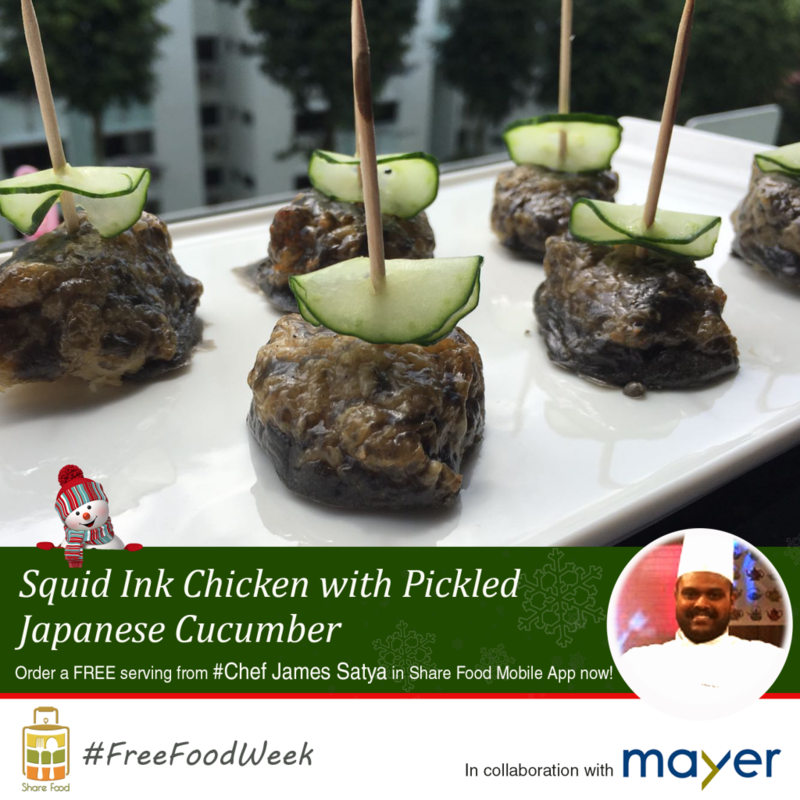 Enjoy your free home cooked food! Have a suggestion or feedback for us? Download Share Food mobile app and a serving from her today!